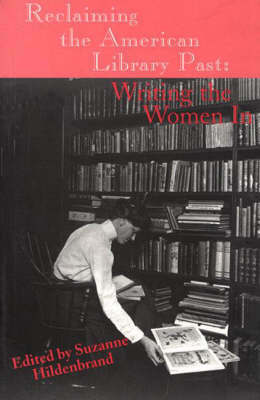 This solid anthology makes a fine start at the effort in its title, ^IReclaiming the American Library Past: Writing the Women In^R. Like most good beginnings, it succeeds first by clarifying the status of the field and then by raising questions for subsequent scholars to ponder and pursue. -^IHistory of Education Quarterly ^RThe essays in this book contribute along several dimensions to the new scholarship on a profession and public service of vital importance for well over a century to American literacy, culture and invention. Their authors add to the individual and collective biographies of women who have founded and administered diverse institutions and taught succeeding generations of librarians. The worksites of influential women such as Anne Carroll Moore, Josephine Rathbone, and Grace Hebard, like the nameless paid and volunteer staff who have served as unrecognized catalogers and children's librarians, have varied. They range from the pioneering libraries and library schools of the settled East- including Brooklyn and the Harlem, Times Square, and Morningside Heights neighborhoods of Manhattan- the historically Black Howard University to the numberless small towns of the West. They include the raw A&M colleges of Arkansas, Utah, New Mexico, and similarly neglected centers of local and regional enlightenment.